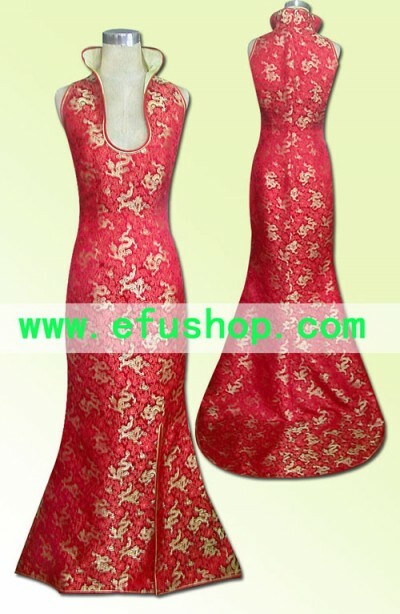 description: Expose shoulder style, full length. Special stand collar with U shape down from the collar bottom. Red with yellow single piping. The material is silk tapestry satin. Red with yellow dragon. A train on the back. Fine tailoring, will fit you well! Can you show this dress on a model? I would like to order this dress but I don&apos;t want the neckline to be too low. Can you modify the neckline to be a little higher?